Simon takes over a GCSE class to demonstrate the importance of cryptography. 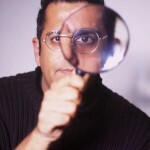 An Episode Of Simon Singh’s Series On The History of Keeping Secrets. Here are some clips from ‘The Code Book’ of Simon Singh explaining how the German Enigma machine worked.